It’s September and Netflix is about to kick-off their release of the latest 2015 – 2016 Walt Disney Company theatrical releases, which means even more incredible family-friendly entertainment on the streaming service we all love. This launch will begin with Zootopia on September 20th, but there is already a great list of Disney movies on Netflix. If you already have a device to access Netflix, stream away, but if you don’t have a smart TV and are looking for a streaming device , look no further. 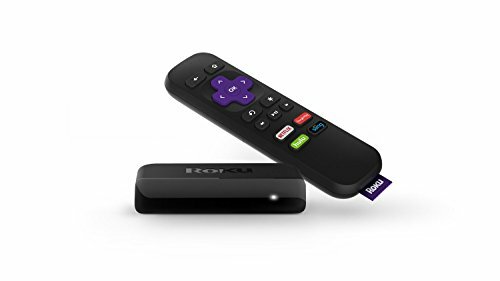 Roku Express PRO TIP: Roku has a cool new streaming device that allows you to stream Netflix and many other streaming channels right to your TV. It’s compact and super easy to use. It’s a one-time fee for the device, then you just pay the individual channel fees. Roku does not charge you beyond the purchase price to use it. I prefer a device like this over a Smart TV because I have found that the TVs don’t always connect well. They lose wi-fi signal, don’t support the latest channel updates and don’t always get all of the channels. The Roku devices seem to get all of the channels. Below is the current list of Disney movies available on Netflix (as of September 18, 2016). These movies may not all still be available on Netflix, but Amazon has a huge selection of Disney animation movies. You can buy them on DVD or stream them on your devices. Some of them may even be available free if you have an Amazon Prime membership. Remember, Netflix movies come and go so this list of Disney movies may not be completely accurate. If your favorite movies are no longer available, I have a special deal for you where you can try Amazon Prime FREE for 30 days to check out their Prime video offerings. Just click the banner below. This post is part of my participation in the Netflix Stream Team #StreamTeam.